Andrew Stech has recently expanded his role with United Farm and Ranch Management (UFARM). Andrew has served as an associate real estate broker since 2014 and now will be adding land management duties. 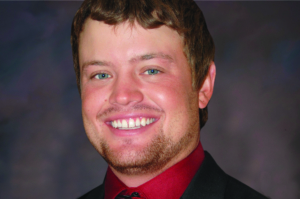 Andrew is based out of the UFARM office in Norfolk, Nebraska. Andrew has a passion for agricultural that runs deep. He grew up on a family farm consisting of row crops (corn and soybeans), cattle, and swine near Osmond, Nebraska in Pierce County. He graduated from the University of Nebraska-Lincoln with a degree in Agricultural Economics. Andrew is constantly striving to be up-to-date on the latest land & commodity market news. Since he has “hands-on” experience in his family farming business, he knows firsthand what it takes to run a farm operation and how to manage the world’s most precious resources, land and water. Andrew is well-qualified to serve you and all your farm & ranch needs. Andrew can be reached at the Norfolk office, located at 400 Braasch Ave., Suite 1or by calling 402-371-0065 or 402-649-8744. Dean and Jill Batie ‘go above and beyond’ to educate the next generation... Cover Crops: The Future Or Just A Fad?